Congratulations to these smiling runners, who are bringing the Ken Garland Invitational trophy back to Highland Park High School. 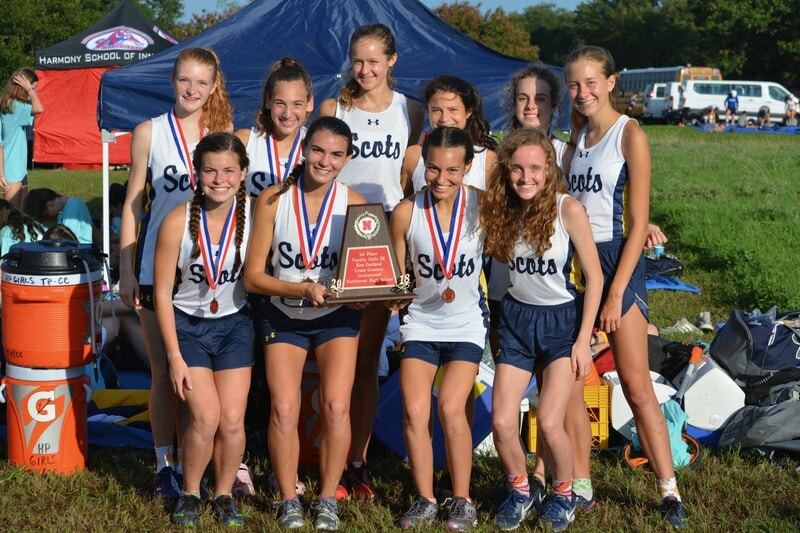 The Highland Park girls scored their first victory of the season at the Ken Garland Invitational cross country meet on Saturday at Discovery Park in Denton. 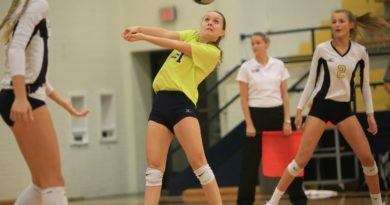 The Lady Scots edged McKinney Boyd for the title in a 13-team varsity field. HP placed six runners in the top 15 individually, led by Sophia Oliai, who claimed a bronze medal with a season-best time of 18 minutes, 40 seconds. 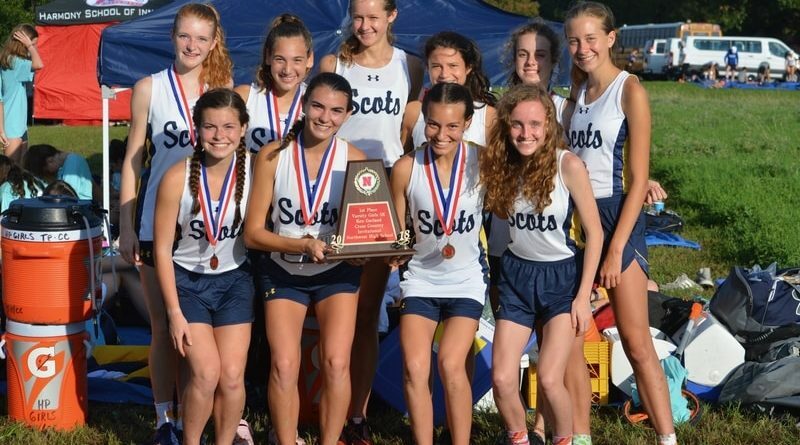 Other top finishers for the Lady Scots included Cameron Fawcett (seventh place), Maddy Stephens (ninth), Alli Grace Ott (10th), Isabel Blaylock (12th), and Gracyn Applegate (13th). On the boys side, HP came in fifth in the team standings. John Moss was the top individual finisher for the Scots in 20th place, followed closely by Jack Alessio and Eric Lara. Next up, HP will run at the Lovejoy Fall Festival on Saturday at Myers Park in McKinney, on the same course as next month’s District 11-5A meet.